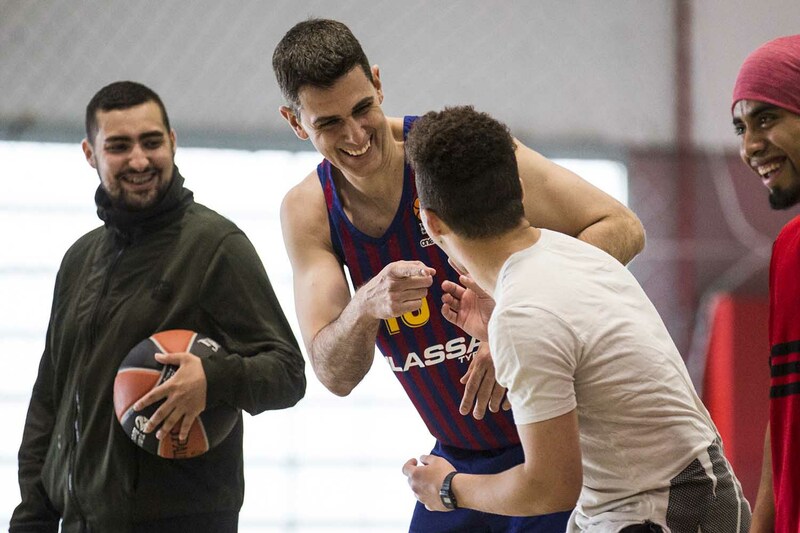 FC Barcelona Lassa might be in the middle of its preparations for the Turkish Airlines EuroLeague Playoffs, but the Spanish team also found the time to support One Team, Euroleague Basketball's social responsibility program, with an exciting event this week. Tuesday is basketball day at the Quatre Camins Juvenile Penitentiary Center in La Roca del Valles, located just outside Barcelona. This Tuesday, however, the participants of the One Team program altered their usual activity to welcome some very special visitors. 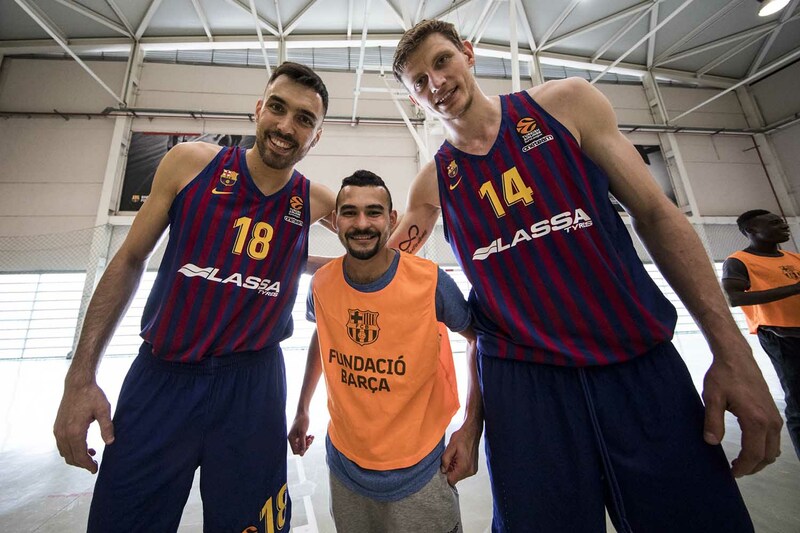 Barca players Pierre Oriola and Artem Pustovyi, former star Rodrigo de la Fuente, and Magatte Niang from the club's women's team all took the opportunity to visit the Penitentiary Centre as part of their role as One Team Ambassadors. The participants in the program are young people between the ages of 18 and 21 who are in a specific, less rigid routine with special attention, as they are in an age range in which they are establishing their own personalities. 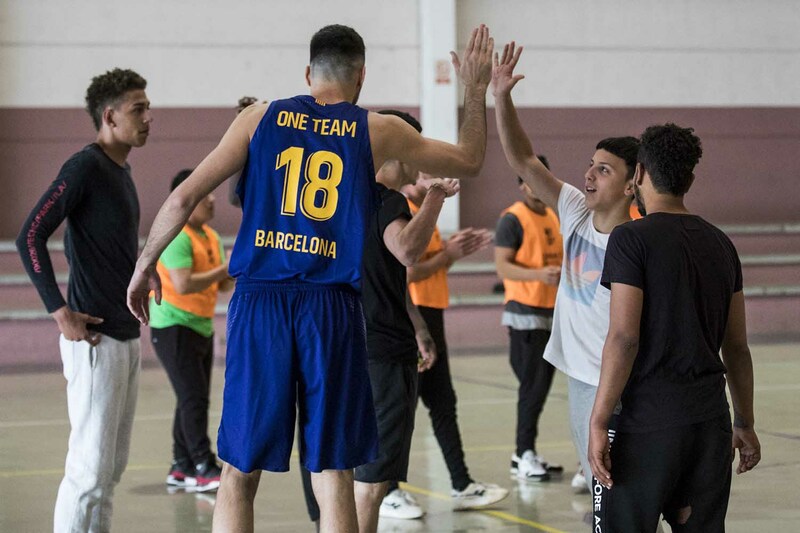 Barcelona's One Team project – developed jointly by the Barca Foundation and Euroleague Basketball – aims to teach important life lessons through basketball, with two hours of weekly sessions that focus on values that prove useful on and off the court. Oriola thought it was a valuable visit, saying: "It's been a very good experience. It helps you to value the life that you have, and how lucky you are to be able to play basketball for a living. I think that it has also been very good for them because they have enjoyed sport and its values." Women's team star Niang added: "It was very positive. I had never been to a center like it, and I thought that the people inside would be more aggressive. On the contrary, I think it has been a very enriching experience for both the beneficiaries and for us." "This program is having a great impact on the boys, and improvements in behavior and conduct have already been observed. It is very enriching to see people in these contexts so motivated to do these activities. It is very important that the Barca Foundation and Euroleague Basketball work together to offer these initiatives." Also present was Marta Pique, the club's One Team coordinator, who concluded: "For young people, meeting these ambassadors is a unique experience. It motivates them to continue playing and taking advantage of the One Team program. Few people have the possibility to interact with the players, and this also helps them greatly in terms of their self-esteem."